Enterprise Coworking - 3000 Lawrence St.
Born in Denver's RiNo district, Enterprise Coworking's flagship location occupies 66,000 square feet of shared office space. 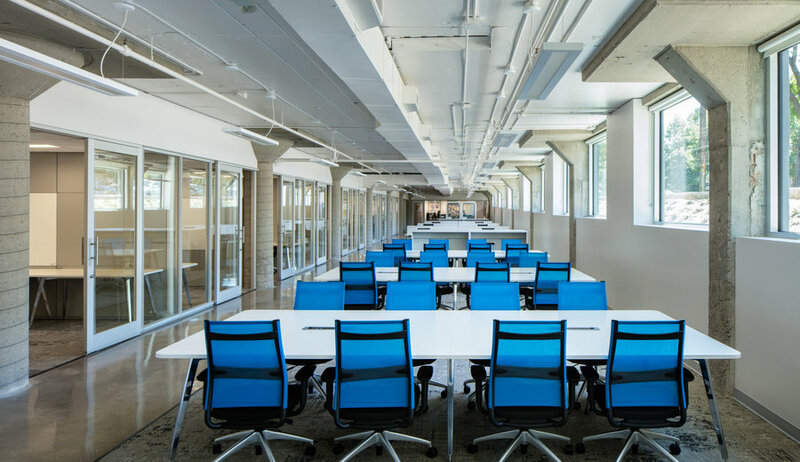 Restored from the original Enterprise Center in summer of 2016, the coworking space is now home to approximately 400 members across 79 companies from various industries. Members share 14 conference rooms, a classroom, indoor and rooftop event spaces, a communal kitchen and recreation area with games, beer and more. In addition to the amenities, members have access to a wide range of weekly social events, happy hours, professional development and educational events, and networking opportunities. The roof contains an array of solar panels which help power the building with energy savings data displayed in the lobby for members and guests to view. The development has an on-site parking lot with 78 spaces and multiple EV charging stations. There is an abundance of close street parking available as well. More information can be found on the Enterprise Coworking website. Enterprise Coworking - 2424 Larimer St.
Enterpise Coworking's third location is currently in development at the corner of Lawrence and Broadway in Denver. The 42,000 square-foot coworking space will sit on the top two floors above a 19,500 square-foot food hall that will be open to the public. 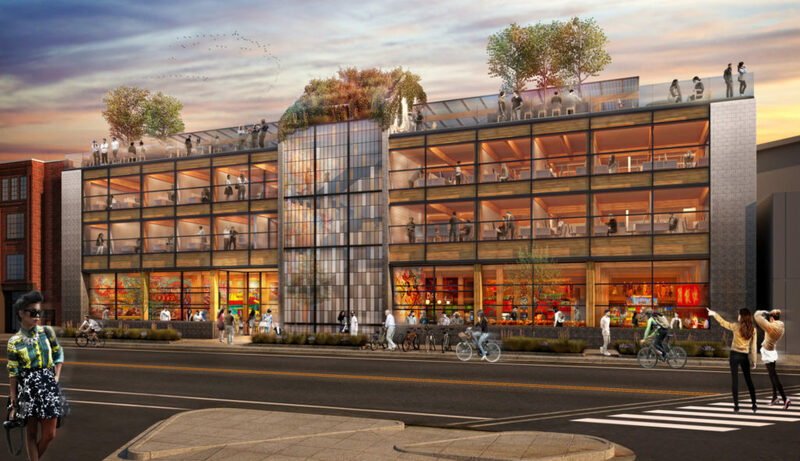 The building will feature dozens of office suites of various sizes, shared conference rooms, a rooftop deck open to both coworkers and food hall patrons, and much more. 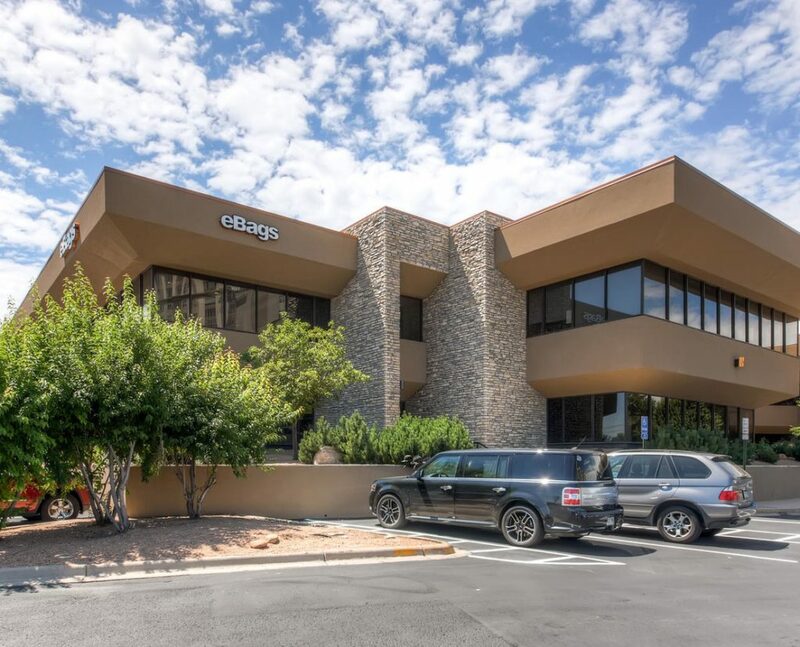 Focus Property Group acquired 5500 Greenwood Plaza in May of 2018. 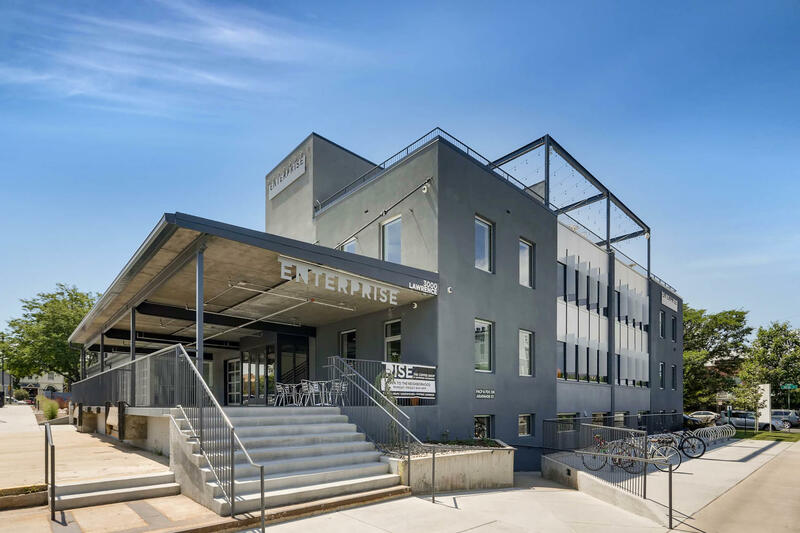 At this time, 17,675 square-feet of the 70,000 square-foot building was converted into the second location of Enterprise Coworking, becoming the first major coworking space to open in the Denver South suburbs. 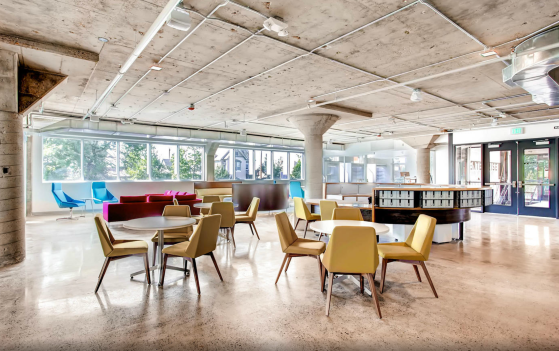 The space features 37 executive-style suites, dedicated coworking desks, 3 shared conference rooms, a large multi-use room, 3 break rooms and a large outside patio area with access to a wide range of weekly community events. The building has a 200+ parking space lot with EV charging stations. 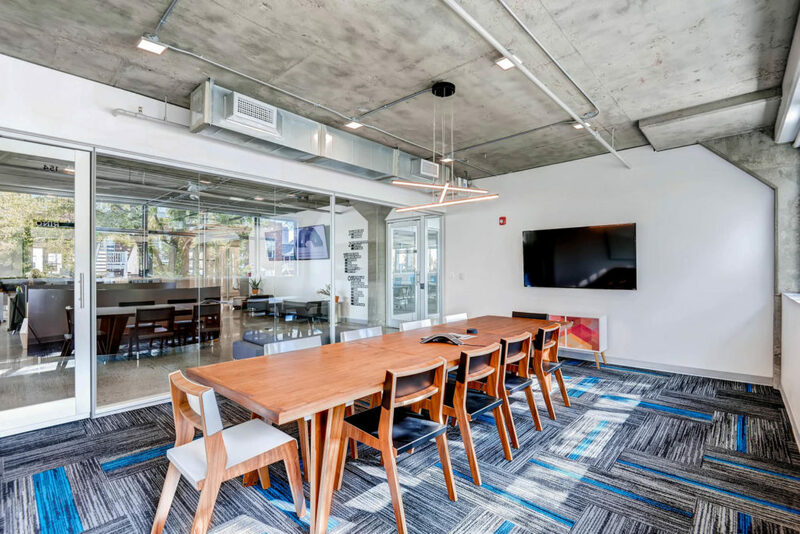 With direct access to I-25, the light rail, a short walk to major retail, dining and entertainment, this second Enterprise Coworking location offers attractive amenities and perks for the suburban entrepreneur and business.